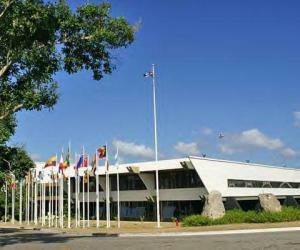 Under the slogan "For the Conservation of the Fragile Ecosystems and the Endangered Species of Central America and the Caribbean," delegates from 19 countries are in the Cuban capital for the 17th Congress on Biology and Conservation. Hiram Gonzalez, president of the Cuban Zoological Society and congress organizing committee, told Prensa Latina that while Cuba does not belong to the Central American region, it has been a member of the Central American group for some years now. The congress helps scientists and experts to exchange experiences on the conservation and preservation of endangered species, ecosystems problems, the loss of habitats and species, and other environmental issues, and to work toward new strategies and perspectives for collaboration. Gonzalez also said that some 200 Cuban specialists belonging to 55 national institutions related to the areas of biology and conservation were present at the event, which runs from Sept. 16 to 20 at Havana's international conference center, the Palacio de Convenciones. The operation in Cuba of a system of protected areas, whose mission is to guarantee the conservation of natural, historical and cultural values of the country's most representative ecosystems, and to contribute to sustainable development, was at the center of a lecture at the opening session by scientist Maritza Garcia. The 211 protected areas identified in Cuba, or most of them, are effectively managed, and they cover 20.2 percent of the national territory, distributed in eight categories of management, Garcia said. Almost one quarter of the marine insular platform, is covered by these protected areas, and 17 percent of the archipelago's land area, she said. The nacional system of protected areas accounts for 92.4 percent of the country's native animal species, as well as 89 percent of its plants.